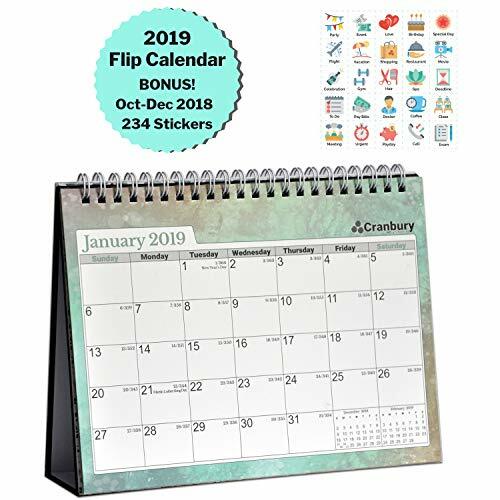 This 15-month decorative 2019 desktop calendar with stand includes calendar months October 2018 – December 2019, so you can start using it right away. Each month has its own distinctively beautiful designs. A page size of 8x6” and daily blocks of 1x3/4” provides plenty of space for planning your appointments and to-do reminders. You will also receive 234 colorful Reminder Stickers to mark your events, special days, birthdays, meetings, deadlines, appointments, and more.